RJR is steeped in a rich family history that can be traced back more than a century ago. Our story unfolds in 1915 when Grandfather Samuel Schlesinger established a manufacturing business in Southern California, specializing in the production of woolen caps. His small enterprise flourished, and evolved into a successful fleece coat business, Blumco Fabrics, short for Blumberg & Company, which he co-owned with his brother-in-law. Samuel successfully ran his business for sixty years. After he retired, his son-in-law, Robert Cohan, chose to follow in his footsteps. 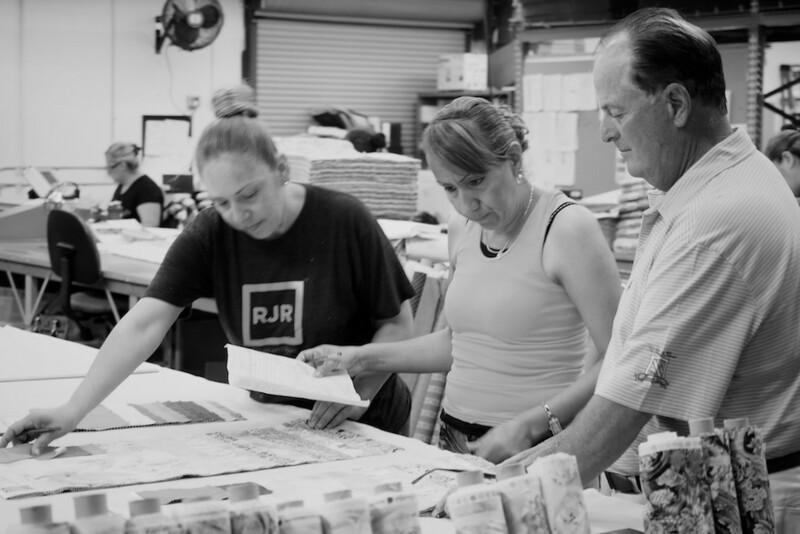 In 1978 Robert and his two sons, Richard and James established a new business in downtown Los Angeles, which they named RJR Fabrics, to fittingly represent the first initials of the co-founders. The company specialized in the sale of fashion fabrics, such as interlock knits, polycottons, rayon challis, denims, and more. In the early days, before the internet and Google Maps, Rick and his brother Jim would drive to fabric stores across the country in their cars with suitcases filled to the brim with fabric samples and trunks filled with bolts. It was quite by accident that one day, while driving in Sherman Oaks, Rick stumbled upon Louise Bloom and her shop, Louise’s Quilt Shop. After meeting with her several times, he realized the potential in selling quilting fabric. With department stores on the rise and fashion fabric stores on the decline, Rick decided on a new focus for the company, one that would be devoted to producing cotton fabrics for quilt shops. RJR was one of the first fabric companies to exhibit at International Quilt Market. Established in 1979, the event showcased the need for cotton fabric designed exclusively for the quilting customer. In 1982, RJR secured their first designer, Jinny Beyer, one of the pioneering women of quilting. She helped RJR to establish the industry standard for premium quality cottons and design for quilters all over the world. In 1991 after brother Jim retired from the family business, John Durnell joined the RJR family, handling domestic sales and marketing. Together with CEO Rick Cohan, they set out to grow the company into one of the most recognized and sought after global brands in the quilting industry. In 2013, Cotton + Steel, headed by creative director Melody Miller and her talented crew of designers, partnered with RJR to establish a fresh new modern brand, which hit the industry by storm. RJR employs dozens of renowned fabric designers in an effort to produce more than 2400 fabrics a year. We’re proud to include the creative talents of Linda Fitch and Vanessa Stevens, our very first in-house design team behind RJR Studio and flaurie & finch. Today, RJR is still a family-run business. And like a tight-knit family, we share the same goals and values of treating everyone, from our vendors to our customers, with the love and respect they deserve and a commitment to deliver the highest quality fabrics designed exclusively for quilt making. 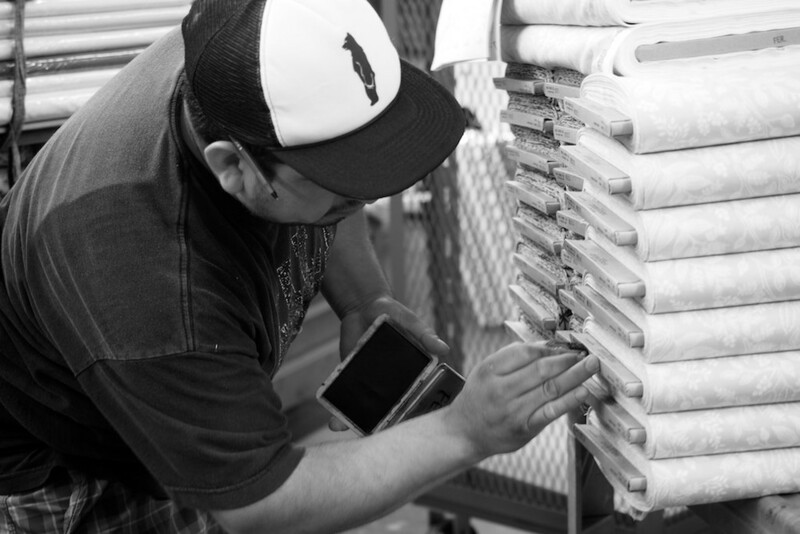 There is care in every step of our process: from the design and manufacturing to the workers who place the fabric lovingly inside the boxes that end up in your hands. Welcome to the RJR family. We’re so glad you dropped by.